us. If you learn to listen to the Holy Spirit you will make life much easier for your Guardian Angel. 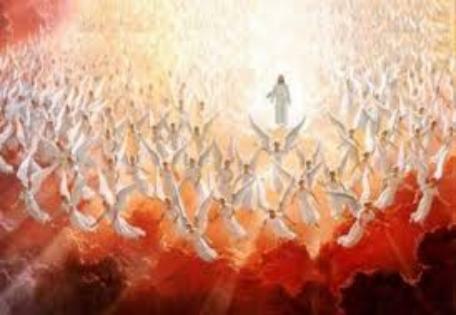 Praise him all his angels, praise him all his heavenly hosts. Praise him sun and moon, praise him all you shining stars. commanded and they were created. Praise the Lord you his angels you mighty ones who do his bidding who obey his word. The Spirit told Phillip "Go to that chariot and stay near it"
in God that it will happen just as he told me. lives. And that's what happened. the child to kill him." other dream you have ever had. quickly and tell his disciples. He has risen from the dead and is going ahead of you into Galilee. 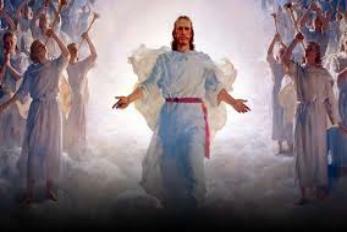 throughout his life, were with him at his resurrection, and at his ascension into heaven. not met him face to face. than man. That's one of the reasons they sometimes say "Do not be afraid" when they appear. This is one more way that God reaches out to us to help, teach, and protect us. the Bible says in Hebrews 1:14.